Last Monday, we had our very first opportunity to experience United’s new 777-300ER (77W), complete with a tour from the airline’s CEO, Oscar Munoz. And while business class is a massive improvement over the 2-4-2 seats United flies on many of its other international aircraft, economy is a different story altogether. On this particular 777 model, economy seats measure just 17 inches wide, compared to the up to 17.3 inches on the 787 and the up to 18 inches on United’s 767s and almost all 777-200s. That extra inch makes a huge difference, especially if you’re unfortunate enough to have especially broad shoulders. 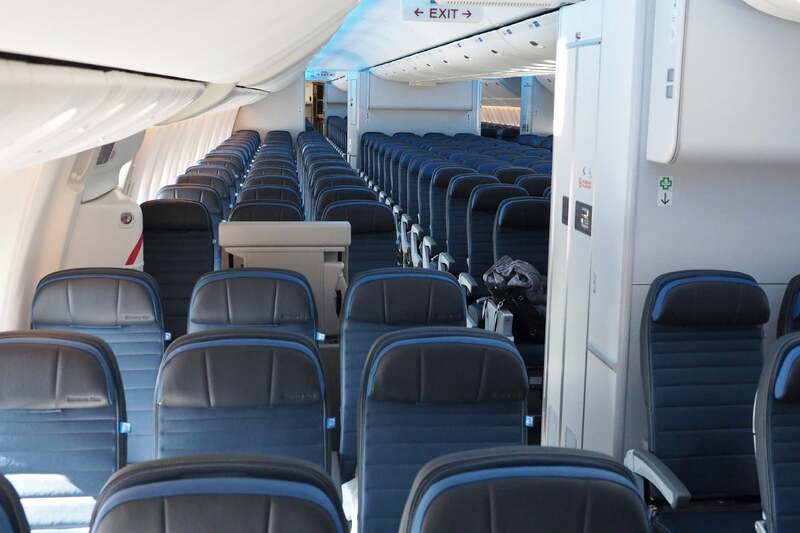 Before you get too excited by the pictures below — oooooh new airplane smell! — make no mistake about it; 3-4-3 economy on a 777 is tight. 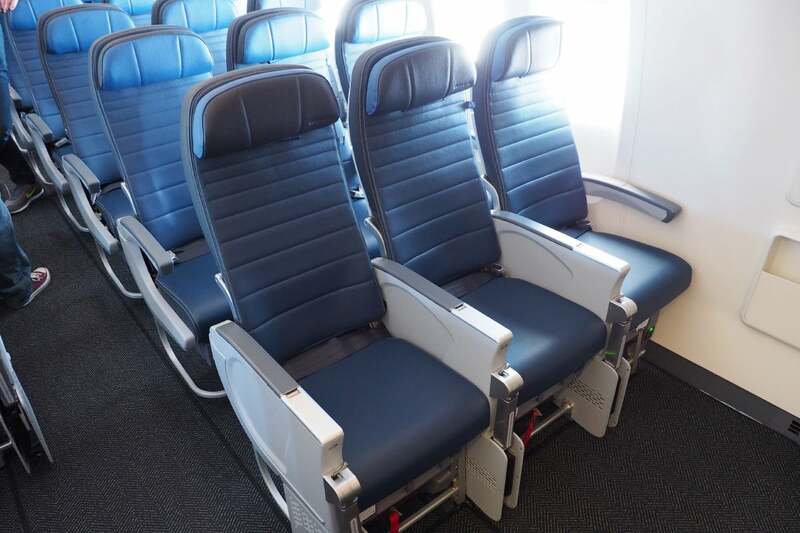 To put 17 inches into perspective, United’s newest 737s (the backbone of the domestic fleet) offer up to 17.3 inches of space, so you’ll have more room for your shoulders on a 45-minute hop from Newark to Boston than you will on a 14-hour trek from San Francisco to Hong Kong. With that out of the way, let’s try to make this experience as comfortable for you as possible. 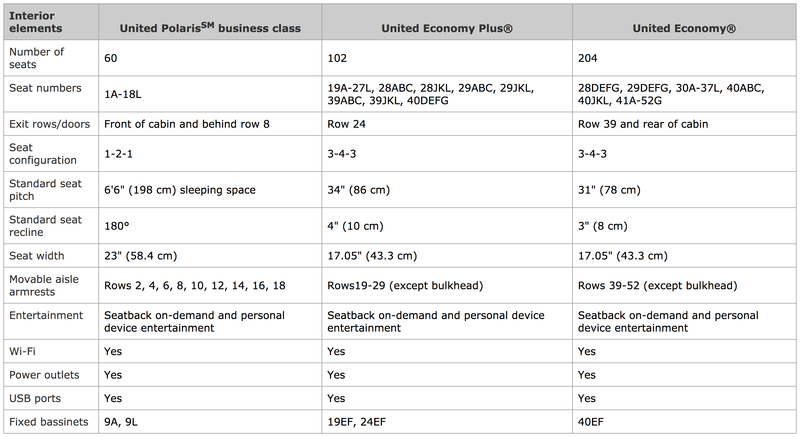 United has 102 Economy Plus and 204 regular coach seats spread between three cabins — all in a 3-4-3 configuration. The first four rows are in a mini-cabin of sorts, and you’ll probably find these to be the most quiet. But the best seats in the house (outside of the Polaris cabins, of course) are located in the third economy cabin, in row 39 (more on that shortly). 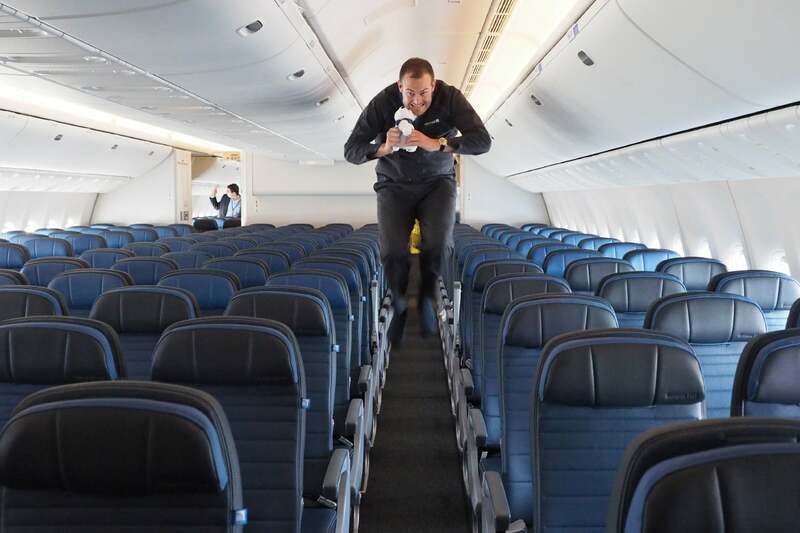 TPG had a blast in the empty economy section during our preview flight earlier this week, but your experience will likely be entirely different. First, some good news — this is a brand-new plane, so everything is shiny and fresh. 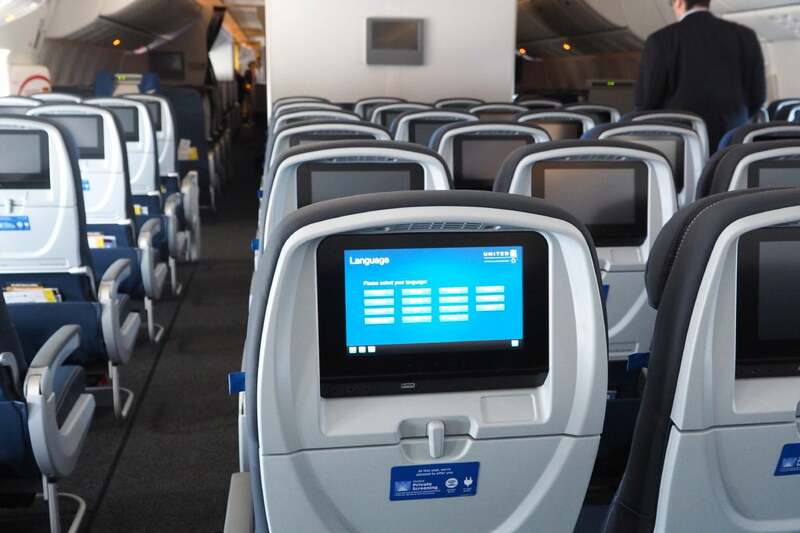 Also, each seat has its own touchscreen in-flight entertainment system (the same model found on some of UA’s other wide-body aircraft) and a decent-sized tray table. 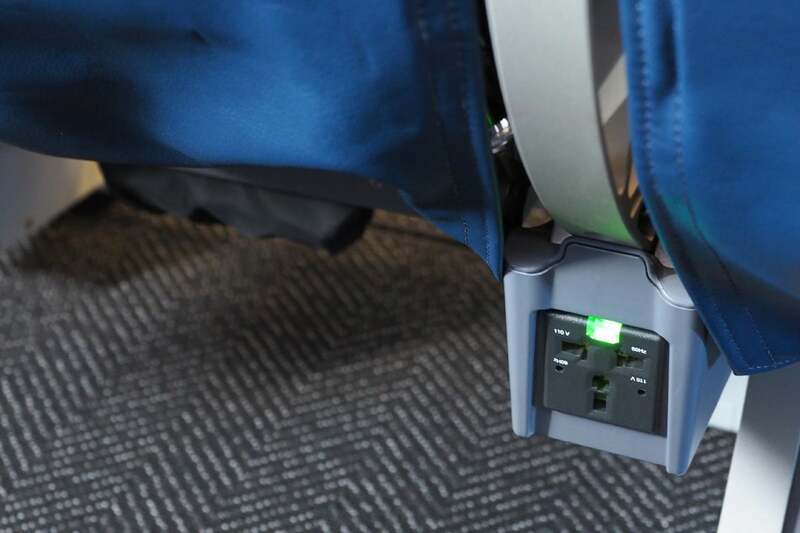 You’ll also get a USB charging port and a shared power outlet (located between the seats). 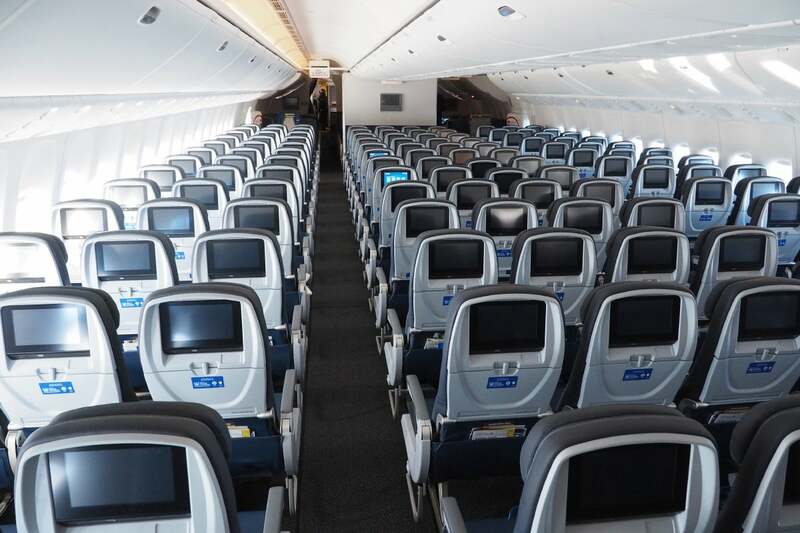 The bad news is that the seats are narrow and especially close together — in other words, if you book the 777-300ER hoping for an upgrade to United’s flashy new Polaris cabin and you end up getting stuck in coach, it’s going to be a very long flight across the Pacific. 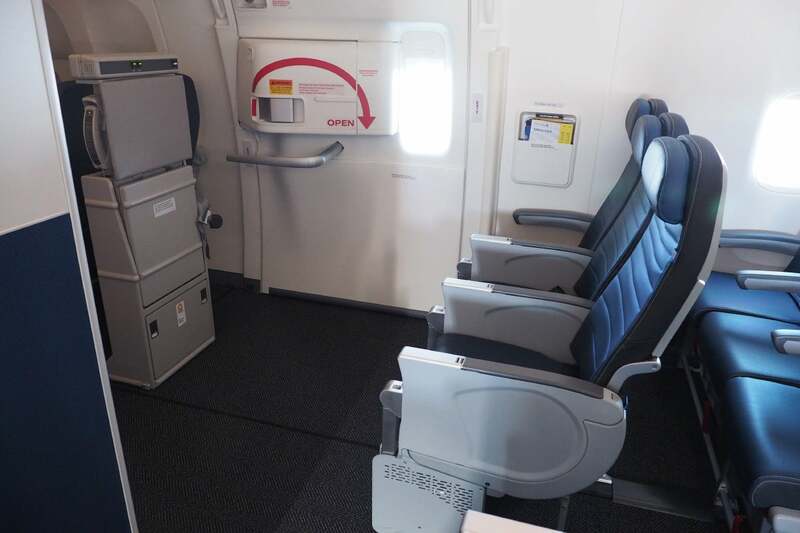 @ZachHonig “Here are the seats you’ll want to avoid on the 777-300ER: All of them"
That said, I did find several (a very limited number) of decent options — and, not surprisingly, most are designated as Economy Plus. My first pick would be the aisle and window seats in row 39 — we’re talking 39A, 39C, 39J and 39L. These seats are located at the front of the third economy cabin, and, since they’re Economy Plus, non-elites will need to pay extra ($186 when flying from SFO to HKG). The seats in row 24 also provide a tremendous amount of legroom, but note that the exit door limits your space a bit at the window seats (24A and 24L). These seats are also a $186 up-sell ($179 for the middle seats). Note that rows 19, 24, 39 and the four center seats in row 40 do not offer under-seat storage. Beyond that, I like most of the window-side seats in the Economy Plus section, given that you’ll have 34 inches of pitch instead of 31. A window seat in the mini-cabin, 21L, is pictured below. 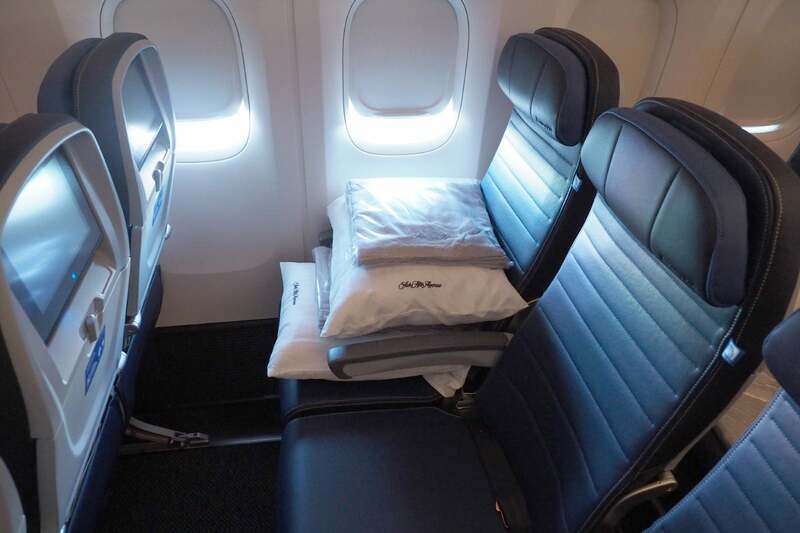 Note that economy passengers do not receive Saks Fifth Avenue pillows and blankets — they were only available on this special preview flight. Let’s be real — there’s not much to like about any 17-inch-wide seat with just 31 inches of pitch. That said, there were a couple of seats I didn’t hate. If you’re traveling with just one other person and don’t have access to free Economy Plus, I’d select either 50A and 50B, or 50K and 50L — the only decent paired seats on the plane. 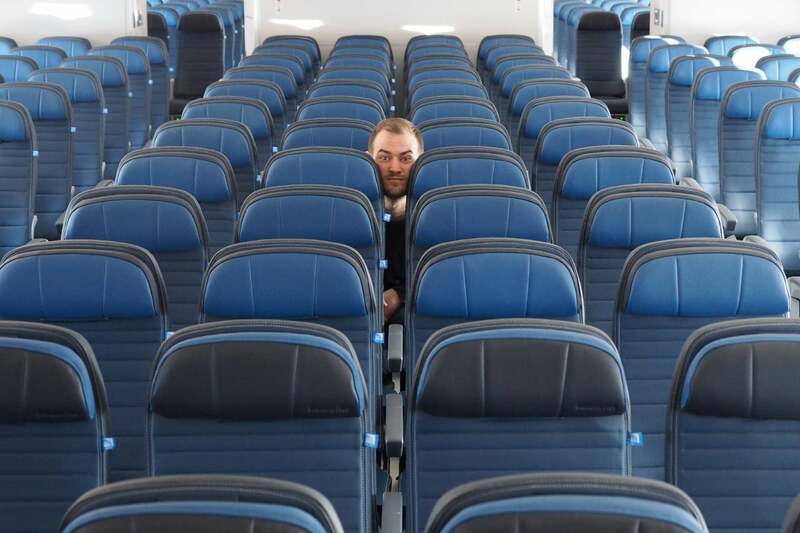 After that, most of the seats are more or less identical (with a few exceptions below), though seats in the middle of each cabin will probably have less traffic than those in the far front or rear. First, I’d avoid any seats up against a bulkhead wall (typically in the last row of a cabin), since recline will be limited. 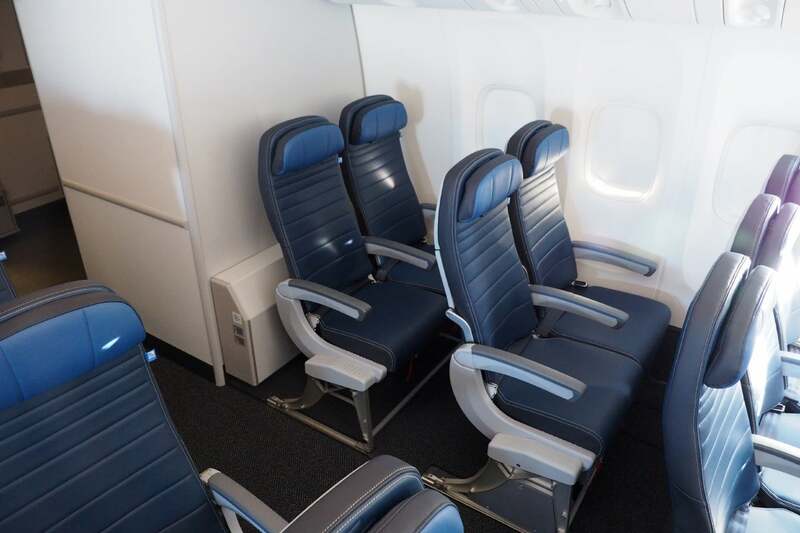 That includes seats 51A and B (pictured above), along with 51K and L. In this category, you’ll also want to skip 22DEFG, 37ABC, 37DEFG, 37JKL and the four seats in row 52. After that, any of the middle seats should absolutely be avoided (where TPG’s hiding below) — that means you shouldn’t select B, E, F or K seats. Middle seats in regular economy are an even tighter squeeze than those in Economy Plus (TPG found this “F” seat to be an especially snug fit, but then again, he’s 6′ 7″). 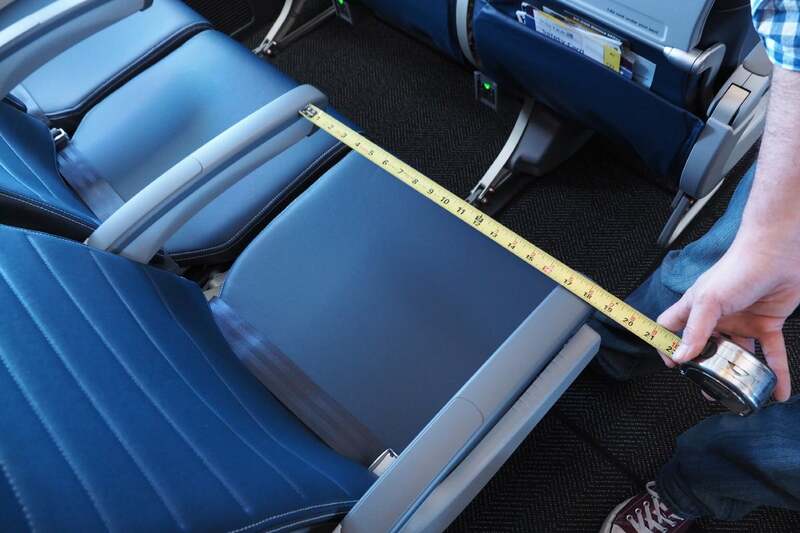 Additionally, blogger Seth Miller (of Wandering Aramean) joined us on the preview flight and brought along a ruler to measure the seats, discovering that aisle seats are actually a hair narrower, at 16.75 inches. You’ll probably dislike economy on the 777-300ER just as much as you’ll love the seats up at the “pointy end” — that is, those in the Polaris business-class cabins. 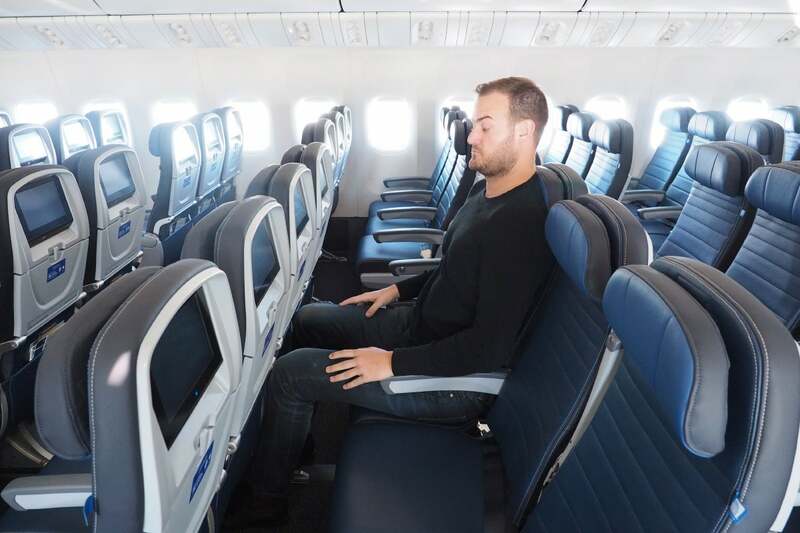 If you’re flying in coach, your best-case scenario would be to score an entire center row, giving you space to stretch out, and perhaps even create your own “sky-couch” situation. Otherwise, this is a plane you’ll want to avoid. While it may seem exciting to fly on a brand-new aircraft, United will be using the 777-300ERs on some of its longest flights, and that’s a lot of time to be squished into a tight economy seat. If you see the seat map below (with 3-4-3 in economy) when searching for a flight on United.com, it wouldn’t be a bad idea to consider other options as well.